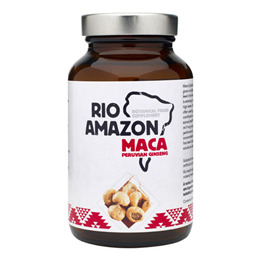 RIO AMAZON Maca is also known as Peruvian Ginseng supports physical and mental performance. Maca is a source of energy and rich in nutrients. Take 1-2 capsules, 3 times daily before food. Below are reviews of RIO AMAZON Maca - 60 x 500mg Vegicaps by bodykind customers. If you have tried this product we'd love to hear what you think so please leave a review.